Slow Cooker Mexican Meatloaf is an Easy Way to Spice up Dinner Tonight (with Almost No Effort)! 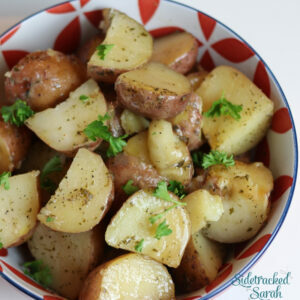 We love Slow Cooker recipes! Its so nice to just drop in the ingredients in the morning and when your ready to eat dinner, its already done. It makes the day go a whole lot smoother knowing that dinner for my family is waiting on us, instead of my family always waiting on dinner. Some of our favorites recipes include Slow Cooker Hamburger Goulash and Slow Cooker Honey Barbecue Brisket. 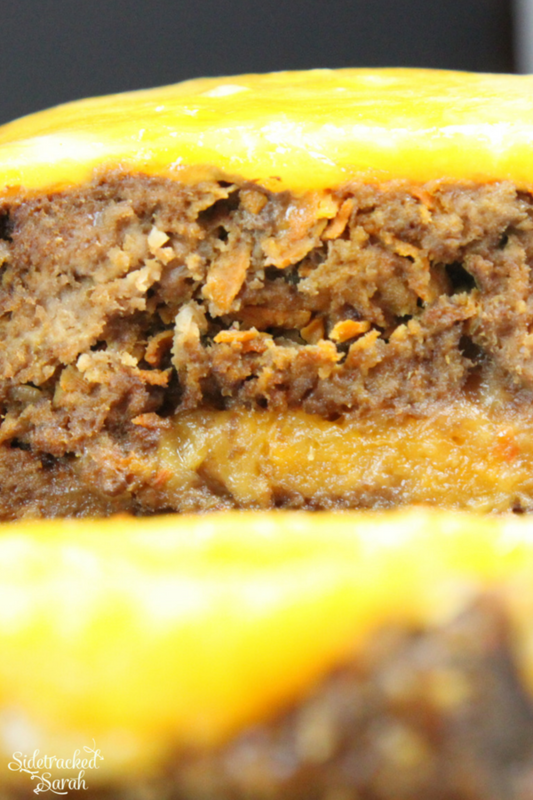 Meatloaf is a favorite meal in so many families, and everyone has their own way of making it. It’s comforting, warm, filling, and wonderful for leftovers. Sometimes, though, you just want to change things up a bit. Add something new. 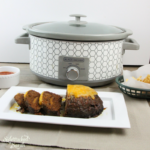 My Slow Cooker Mexican Meatloaf recipe is the perfect way to do this! Because it’s made in the slow cooker, you’ll get great results every time! It’s so easy to put together and cooks while you go about your day. It’s win-win recipe! DOES SLOW COOKER MEXICAN MEATLOAF FREEZE WELL? Oh my, it certainly does. If you would like to batch-prep several Mexican Meatloaves, you can wrap and freeze them easily. Then, when you’re ready to cook one, just thaw it and set the slow cooker! If you are cooking for a smaller group and happen to have leftovers, you can also freeze them easily. Just pull one out in the morning and it’s ready for lunch or dinner! 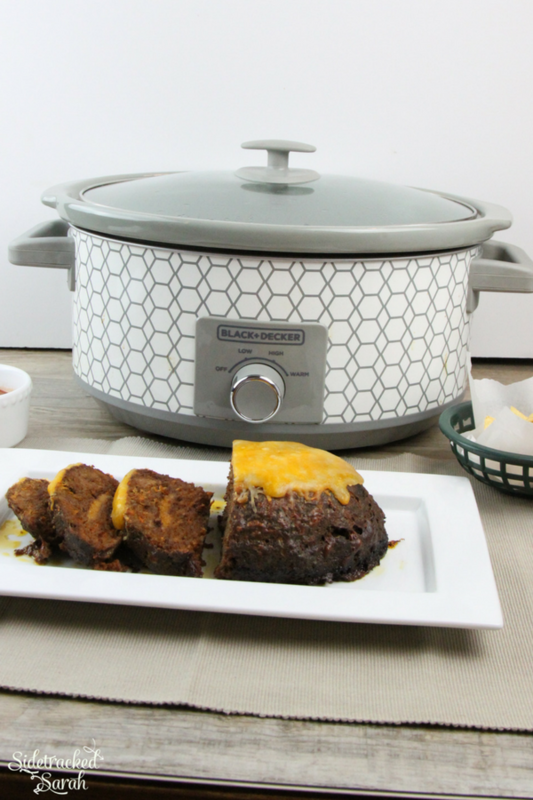 IS SLOW COOKER MEXICAN MEATLOAF KID-FRIENDLY? This recipe is kid-friendly and kid-approved! The shredded carrots add moisture and a fun pop of color, and the salsa and taco seasoning are reminiscent of taco night. Add some cheesy goodness, and you have a meal your entire family will love! 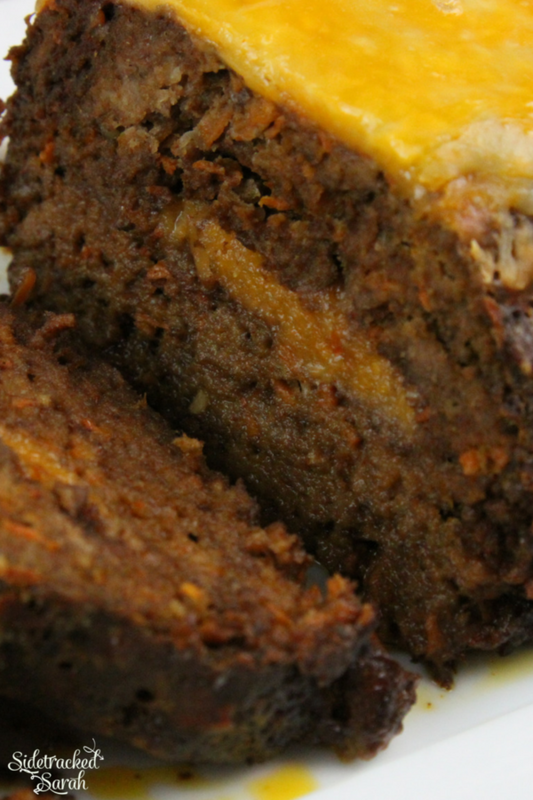 The spice level is very easy to adjust with Slow Cooker Mexican Meatloaf. You can choose the type of salsa that your family loves as well as well as your favorite mix of taco seasoning. The cheese and carrots also do a great job with evening out the spices! I hope your family loves this recipe as much as ours does! It’s so easy to add into your regular rotation. Enjoy! WANT MORE EASY SLOW COOKER RECIPES? Press half of the meat mixture into a loaf. Cover with half of the cheese and press the remaining meat mixture over it. Place in a freezer safe gallon bag. Quinnly is the baby of the family. She is under the impression that she is a princess. And with that sweet smile, why wouldn’t she attempt to take her royal place in our family. 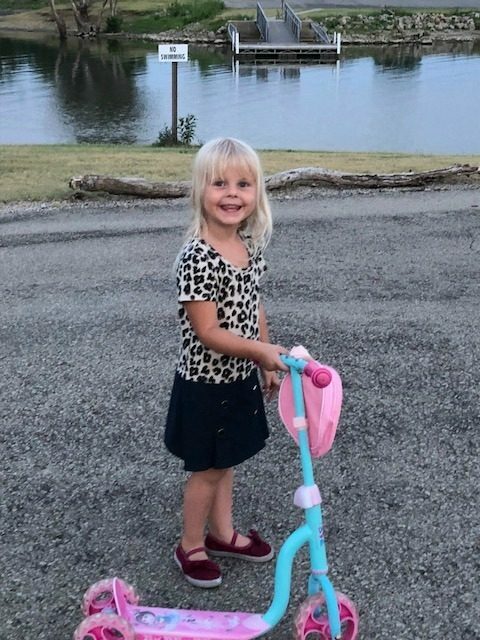 Her scooter is her latest chariot! Slow Cooker Breakfasts in the Back to School Weekend August Sale!